I was a 13 year old boy when I discovered the music of John Mellencamp. His songs were my usher into the world of writing, art, and creativity. A continual source of powerful inspiration in my work and life, I wrote my second book, Mellencamp: American Troubadour, about his music, and the ideas that surround it. The impact and influence of Mellencamp’s music on my life is so large that, without it, it is impossible to conceive of myself. 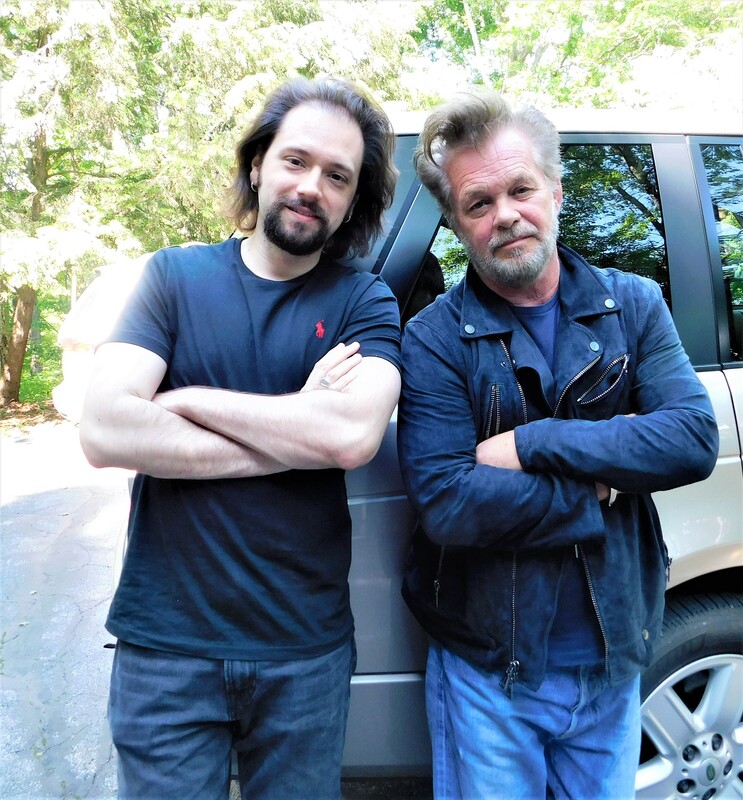 On Memorial Day, I had the incredible thrill and honor of driving to Nashville, Indiana to visit John Mellencamp in his recording studio. We sat for a long, fascinating, and fun conversation in the same room where he and his band have made so many of my favorite songs since 1983. Then, I watched he and the band rehearse for their upcoming tour, playing “Pink Houses” and “Paper in Fire.” To add to the pleasure and amazement of the experience, I also met the beautiful and soulful Carlene Carter, and had the opportunity to have a discussion with her. Mellencamp’s first words to me were, “It is a good book.” That simple, but profound compliment is one I will always treasure (He was referring to my work of biography and cultural criticism, Mellencamp: American Troubadour). Read the essay I wrote on the experience at Salon. “Really, why do you think that is?” I asked. In my new column at Salon, I explore the terrifying possibility that Donald Trump is not an insincere conman, but that he is genuinely paranoid, stupid, and delusional. The power of propaganda, from the right wing, has steadily warped the minds of millions of Americans. It appears that Trump is one of them. Imagine your crazy uncle as the most powerful man in the universe. I began devouring Michael Eric Dyson’s work as a high school student, eager to learn about the world, and study the craft of essayistic writing. He quickly became inspirational and foundational to my intellectual and literary development. It is difficult to conceive of myself as a thinker and writer without the influence of Dyson. Recently, I had the pleasure of spending a few hours with Dyson during the Chicago stop on his book tour. We discussed a new book, Tears We Cannot Stop: A Sermon to White America, along with a wide range of issues pertaining to race, culture, and politics. In my new column for Salon, I appraise the high value of Dyson’s analysis and rhetorical style, and offer some of the most provocative and poignant excerpts from our conversation. In my new column for Salon, I ridicule the sanctimonious and cowardly baby boomers who refuse to surrender their favorite hobby – demeaning young people. My years of teaching experience at the college level have allowed me to meet many different students. I consistently find them smart, strong, and even inspiring. Studies of campus life demonstrate that “trigger warning,” “safe spaces,” and tantrums of “political correctness,” are actually quite rare, despite the alternative reality that boomers, and right wing media commentators, have invented. I’ve had students who have survived cancer, recovered from the unexpected death of family members, lost their homes in natural disasters, and continue to work and study in the pursuit happiness, even while they suffer a financial burden for their education that previous generations never shouldered. They are tougher, and better for the country, than their critics. When was the last time any mainstream commentator suggested that the rural, white Christian conservative Sunday School teacher escape her bubble, and befriend a group of black lesbians? Can anyone recall ridicule of a right wing, suburban housepainter who believes God watches his every brushstroke for not attending a public lecture from an award winning evolutionary biologist? The coating of the conservative bubble is often so dense that it prevents inhabitants from accurately identifying their own interests. Read the entire column at Salon.